FTH:K | Listen with your eyes! Yes, everyone! 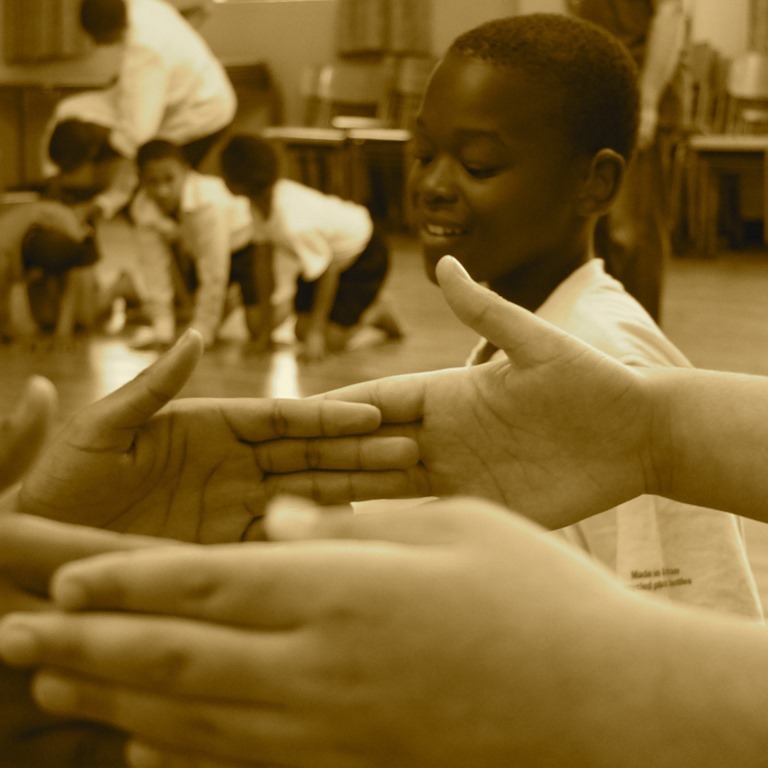 South Africa’s premier Deaf and hearing theatre company is back on tour with new and exciting partnerships and programmes. 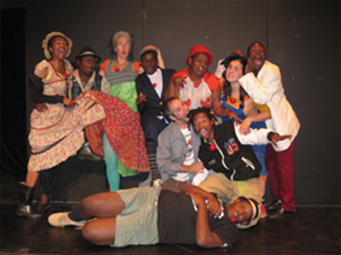 As you know, from 2005 – 2012 we operated as the only full-time theatre company of its kind in the country. 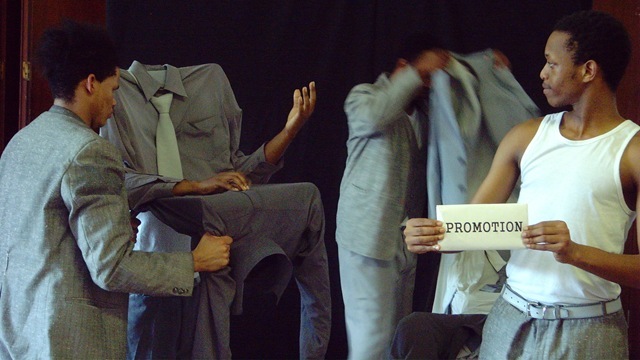 Well, in 2013 we decided to shake things up again and started a process of restructuring ourselves in recognition of the internal changes in the company as well as the changing environment of Arts and Culture both nationally and internationally. Huh?! In short, it means that we have ditched the bricks-and-mortar elements of the company in favour of broader, more exciting programming, and are focussing strongly on national and international collaboration. While there might not be groups out there doing exactly what we do, there are people who share the same artistic and educational goals. And with money in the industry getting tighter than a lug nut, it becomes almost irresponsible not to partner with like-minded organisations to share resources and maximise achievements. So, with satellite offices in Cape Town, Grahamstown, and Washington, DC, FTH:K has adopted the idea of a global village and truly gone mobile! We had a good long think about what we do, what we stand for, and what inspires us to come to work every morning, and we realised three things: 1) that we want to make visual theatre, 2) that we believe we have a meaningful role to play in education, specifically within the Deaf communities, and 3) that 1 and 2 are not mutually exclusive ideas. In many ways it is a mirroring of how FTH:K started in the first place, just without the jugs of Bavarian Lager. So once more, we have adapted and are back on tour to bring the magic of FTH:K to the world and (with apologies to SAA) to bring the world to FTH:K! 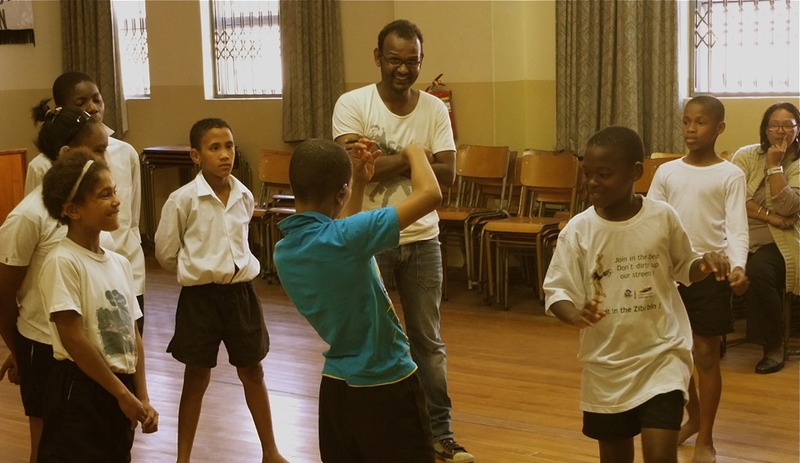 We have some awesome new partners who have joined us this year including Deaf performer and educator Ramesh Meyyappan and Clowns Without Borders South Africa, while our international relationship with Quest Visual Theatre has strengthened significantly. 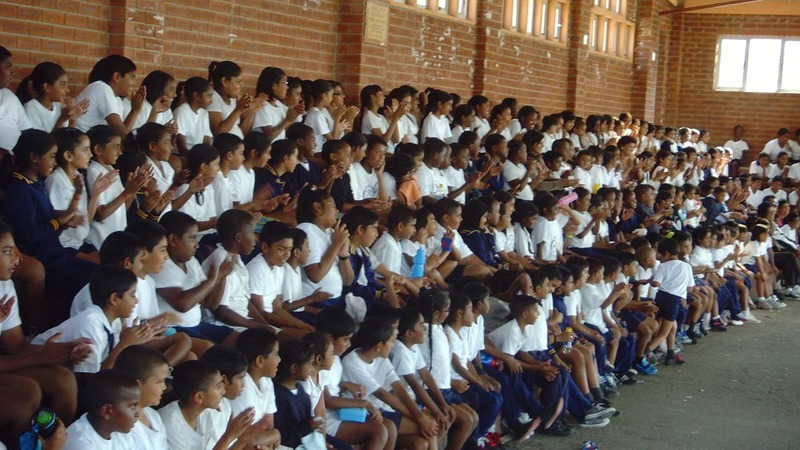 Dominican School for Deaf Children – where we started our very first programme years ago – remains with us in a newly revised approach to our Tell-Tale Signs Programme, and Sjaka Septembir is heading up the teaching on that. Of course, SLED are still our go-to guys in so many language-based areas. And let’s not forget all the Deaf and hearing schools, organisations and institutions around the country that we work with every year. So, has FTH:K changed? In some ways. Is it still innovating? Is it still inspiring? Is it still finding exciting ways to COMMUNICATE * EDUCATE * and FASCINATE? You better believe it! So here we go, guys. It’s time for a new and exciting FTH:K adventure! 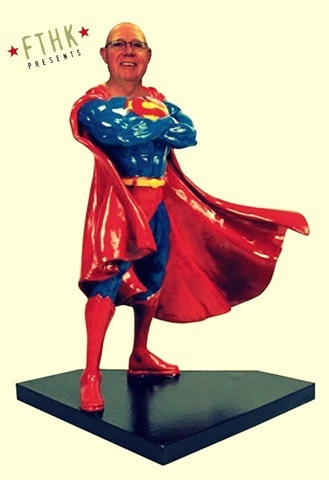 Elred is a Cape-Town based IT consultant with 23 year’s experience with Pick n Pay, who now runs his own company: Elred Lawrence Business Solutions. He is also one of our favourite FTH:K stories. One of his colleagues, Colin Scholtz, interviewed Tanya on what was then FreshFM – Pick n Pay’s radio station – two years ago. As a result, we invited Colin to the opening night of Pictures of You at the Baxter but at the last moment, something came up and he was unable to attend. He offered the tickets to Elred who came, watched and was instantly hooked! He says the piece was so different to anything he had ever seen that he immediately joined the FTH:K Family and has been an ardent supporter of the company ever since. Ok. But the cycling stuff? Well, Elred completed his first Cape Argus Pick n Pay Cycle Tour in 1992, and has since finished a further fourteen. The idea of cycling a long-distance route came to him in 2002 when he was planning his next holiday and an article about the El Camino de Santiago in Spain caught his eye. At first he thought he might walk it but was worried that it would take longer than the time he had to spare – until he read the final line of the article which said that the tour could also be completed by bike. He had cycled this famous Pilgrim Trail (about 1000kms) in 2002 and enjoyed the journey so much he was inspired to start planning for the next one. Ta-dah! At our most recent AGM, we took on the issue of the recession and the challenging arts environment that currently exists in South Africa. We called on our supporters to help us find new and interesting ways of bringing in resources to make sure we can carry on doing the work you love. After the AGM, Elred approached us with the idea of using an upcoming cycle to raise money for the Company, and we loved the idea, not only because of the fundraising potential, but also because it was a great example of how we like to put the fun in fundraising. Especially because we don’t have to do the cycling! The long and the short of it is that on 24 August 2012, Elred will leave for England, to embark on the 2000km Via Francigena, an ancient pilgrim trail that was regularly walked over a thousand years ago by clerics and church officials going from Canterbury Cathedral to the Vatican in Rome to visit the Pope. It has been officially resurrected today by the various Governments whose territory it crosses and designated as a European Cultural Route by the Council of Europe. 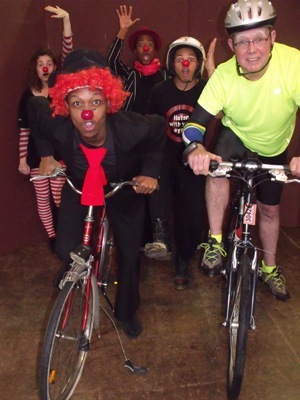 And with every kilometre he cycles, you guys can sponsor not only his pilgrimage, but also South Africa’s favourite visual theatre company! 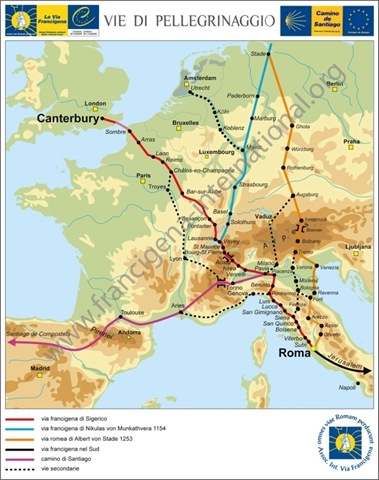 The Via Francigena is not a single road but rather comprises of several possible routes that changed over the centuries as trade and pilgrimage developed and waned. Depending on the time of year, political situation, and relative popularity of the shrines of the saints along the route, travellers may have used any of three or four crossings of the Alps and the Apennines. Unlike Roman roads, the Via Francigena didn’t connect cities but relied more on abbeys. Either you can make a direct deposit into our account, donate through our paygate, or email us with your pledge and we will calculate your donation once he has finished the journey! How easy is that?! He will be recording his travels through his blog, including linking his Garmin tracking system and heart-rate monitor to the site, so you can get a real-time breakdown of his journey and adventures. So what’s not to like about this?? Support a brave cyclist on a pilgrimage towards great things and at the same time, support a theatre company on a similar mission. When we talk about turning small money into big change, we mean it! Those of you who follow us regularly (we love you) will know that every year FTH:K hits the road for a National Tour. The tradition was inadvertently started by The GUMBO Tour in 2007 that came to be through a grant from the now-defunct Conference, Workshop and Cultural Initiative Fund – at that point, our biggest sponsor ever. In so many ways, this grant was a learning curve for us: in how we budgeted, how we managed the money, how we reported on activities etc (working with the EU and its rules was quite something for the 2-year-old FTH:K! ); but the tour also made us realise just how many organisations, institutions, schools, theatres, festivals, learners were out there. At first, this was a little demoralising: how was our little company ever going to be able to reach the people we needed to when we were so small and all the way down in the Western Cape?? 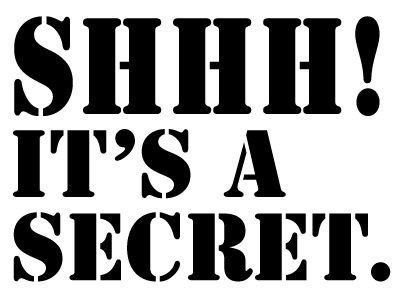 It took us a few strategic planning sessions to find the answer: slowly and consistently. We didn’t realise that we had stumbled over an idea that would later be fleshed out in an Arts Management principle nicked from Michael Kaiser: not in a day, not without failure, not without discipline. So we decided that we would prioritise an annual National Tour, presenting a performance and education programme in at least three provinces – a goal we are proud to surpass almost every year. “This has been my first ever FTH:K National Schools’ Tour and it was an eye-opening experience to say the least. And since at FTH:K we “listen with our eyes”, I have been doing a LOT of listening! 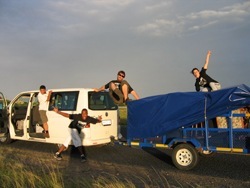 This KZN tour was the biggest of our National Tours to date, with 5 hearing schools, 5 Deaf schools and 1 Deaf institute on our itinerary, and our chock-a-block 2-week schedule took us from Durban to Mooi River and back again. 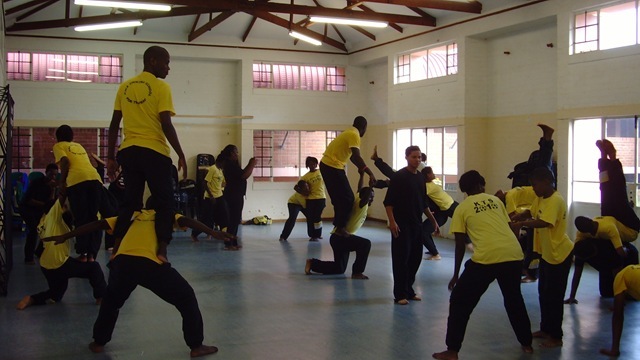 At the Deaf schools, the learners were thirsty for drama knowledge, looking to Marlon, Sine and Christo as role models. At the hearing schools, the learners were thirsty for sign language and information on Deaf culture, looking to our Trainees as a welcome access point to something unknown. No matter which school we attended, the learners welcomed us with open minds and big smiles. Without a doubt, OfficeBLOCK has been a controversial show to tour, questioning and unpacking the global threat known as The Corporation. 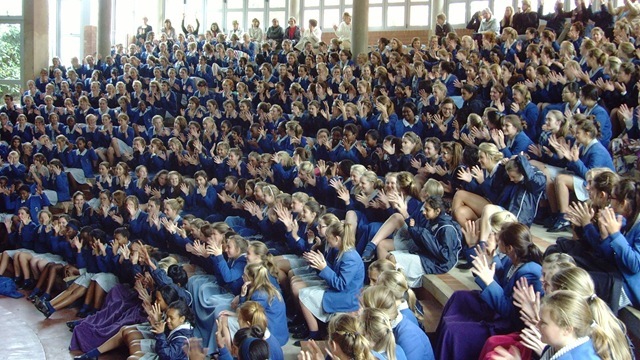 Making the learners engage with uncomfortable subject matter is never a simple task, but using the medium of non-verbal performance we found them mesmerised. They laughed with Sinethemba. They covered their mouths in horror at Christo and Asanda. They sympathised with Marlon. And by curtain call all hands were frantically waving in the air: a sure sign that we had achieved what we set out to do. This is the beauty of Visual Theatre. It creates a singular and integrated experience for an audience member, engaging them in a conversation of images that requires their presence to complete the theatrical contract. And the learners got this, perhaps more readily than many adults who are so used to being “helped along” by words.